Here is 20 Kildare Street, Dublin, a house dating from around the mid-18th century. The large first-floor Venetian window recalls a similar building that once stood almost directly opposite on Kildare Place, the design of which was attributed to Richard Castle. 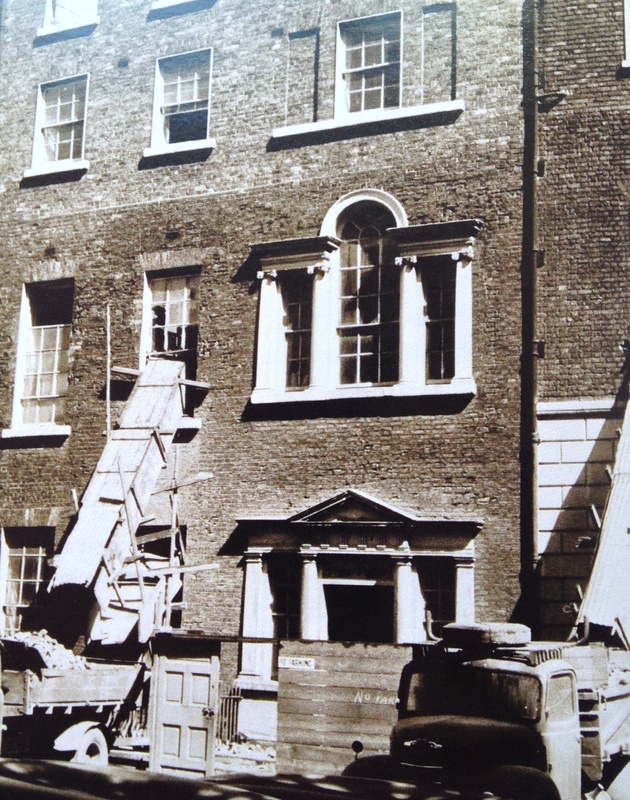 This was demolished for no good reason by the government in 1957 and replaced by a nondescript blank wall (see below for photograph of the building during its demolition). Decades ago 20 Kildare Street suffered the indignity of having its groundfloor turned into a hotel car park, but in recent years even that function has gone. Now, as can be seen, the house is falling steadily into decay. So too is no.19 to the immediate left and it cannot be long before this duo’s future becomes imperilled. Ironically the Department of Heritage occupies premises almost immediately to the right of this picture; one must assume its officials are far too busy with other matters to notice the dereliction on their doorstep. Are there really no buyers for it? Perhaps it is in a depressed area? If I were to have a city pied a terre just to have a toe hold in Europe in case everything goes to ratsh*t here, this would be ideal. No pesky garden to manage, space for the cars, everywhere in town within walking distance or a short taxi ride away and inside, undoubtedly spacious rooms with high ceilings. I’ll wager they even have open fireplaces. Looking at the picture again, I note the absence of piles of rotting rubbish and potholes in the street so it cannot be in an area as depressed as some of the places I have lived in Luanda before I moved to the countryside. 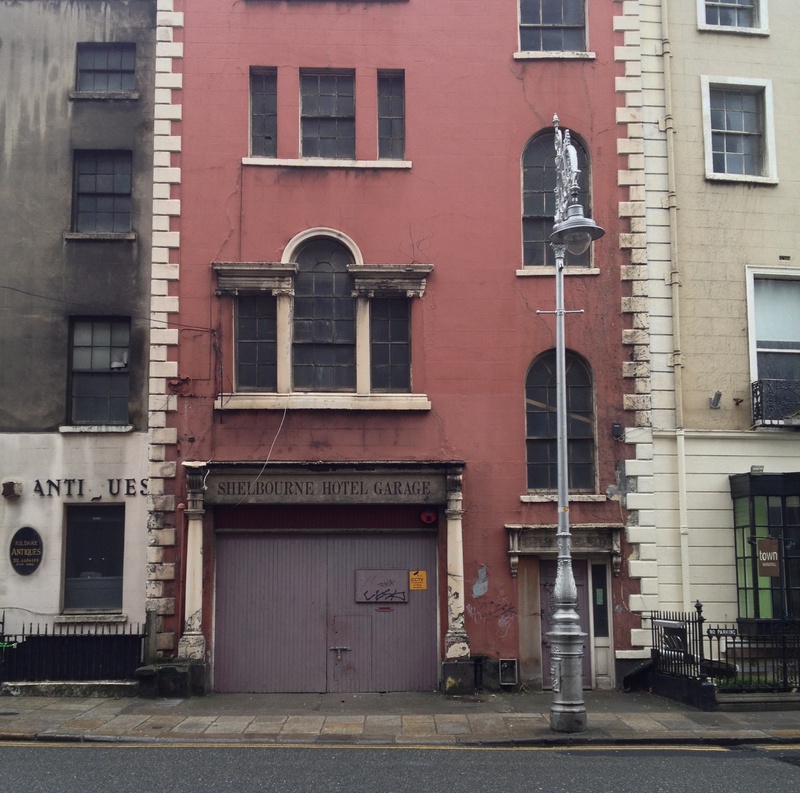 Just to satisfy my curiosity, what would such a place in this condition in Dublin be worth? If it were in Luanda City, it could fetch as much as five million US, the off street secure parking making all the difference to its value. This house is actually in one of the best areas of Dublin (our parliament building is on the same street). I think also it has entered state control through being hitherto owned by a now-impoverished property developer (of which we have an inordinate number in Ireland). If so, then the likelihood is that its present neglect will not be alleviated: state organisations have a poor track record of managing buildings under their care (viz the demolition of the houses opposite in 1957). It is all very gloom inducing I’m afraid. I keep saying, ‘here in Angola’ so forgive me but sometimes it is interesting to compare different approaches to the same problem even if they come from the most unlikely sources. Cash strapped owners of dilapidated but noteworthy buildings have, rather than see their asset crumble to dust, entered into agreements whereby, in exchange for a lease, the length of which reflects the cost of refurbishment plus a few more years to make the investment attractive, hand their buildings over allowing the individual or company obtaining the lease to recover their investment plus a very tidy profit by sub-letting the refurbished building. At the end of the lease, the farsighted owner has a fully refurbished asset returned to him (or his heirs). The system works here due to the high rental prices (Luanda had topped the list of most expensive cities in the world a year or two ago but may have slipped a few places by now). I was Security Consultant to an oil company that rented a 4/5 bedroomed house with small garden and swimming pool for US$25,000 per month. Another client rented a very small two bedroom cottage for US$6,500 per month. I was offered $14,000 per month for my house in the southern suburbs. Since rental agreements can require up to two years rental up front, the developer can often recover his investment immediately the property is refurbished and let and then enjoy several more years of essentially clear profit before handing it back to its prescient and patient owner who can carry on reaping the reward. I am aware that the property market in your neck of the woods is not as vibrant or lucrative as it once was but, given that town and city councils are sitting on so many deteriorating property assets generating no income and without the funds to refurbish or even maintain them, perhaps a similar approach would work? There are all sorts of no cost incentives that can be offered to sweeten the deal. How about no rates for so many years? The council isn’t earning anything at the moment on it’s derelict properties after all so they have nothing to lose, but everything to look forward to. Look at it this way (and I apologise for such a simple analogy but I have lived nearly half my life in Africa), I am planting Mango and Avocado trees on land unproductive since the start of the civil war that will bear profitable fruit only after my death. A clever marketing professional would call such a programme, ‘Saving the Past by Investing in the Future’. Incredibly, the original Georgian dining room or front study is still intact behind the garage entrance doors. Although the ground level has been dropped into the basement void, the skirting, chair rail, probably the architraves, and certainly the robust c.1750 cornice all still survive, floating serenely about what was, until recently, the entrance host to cars for the Shelbourne Hotel. A house of a most interesting plan and layout, it demands immediate conservation works. ‘Demands immediate conservation work’ – but will it receive same?